Google announced on Google+ and Google Business Help forums that they launched a new mechanism for businesses that have food delivery, online appointment scheduling, and other forms of ordering for delivery - to integrate that with the Google search results and Google Maps. Google said "when you search for a nearby restaurant on your phone, you’ll see an option to “Place an order” in the search results. Just tap that, choose the delivery service and you’ll be taken to their website to complete the order." (Q) Where will this be visible? (A) The Place an order option will only show up for some local searches. Additionally, right now, it will only appear in the US, on mobile, but we are planning on expanding its availability soon. (Q) Where is the content coming from? 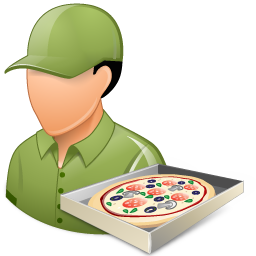 (A) Right now, content is from the following partners: Grubhub, Eat24, Delivery.com, BeyondMenu and MyPizza.com. We'll add more partners gradually. Content partners can express interest in joining the program using this form. (Q) Can a business owner add a custom action link or request inclusion? (A) No, right now, business owners cannot add custom links. If a business has an existing relationship with one of our content partners, action links to that partner should appear for that business. (Q) Can a business owner request the removal of an action link? (A) Merchants can reach out to our merchant support (HC link) and our support staff will assist in removing the action link from their business listing. (Q) What if multiple providers have content for the same business? (A) If ordering from a restaurant is possible via more than one provider, the results will include all providers - when you tap the “Place an order” link, all available merchants will show. Bing has added this feature a few months ago. Forum discussion at Local Search Forums, Google+ and Google Business Help.